Details of Ryanair’s so-called “slave contracts” for cabin crews based in Norway continued to emerge this week, revealing terms of employment far below Norwegian standards. 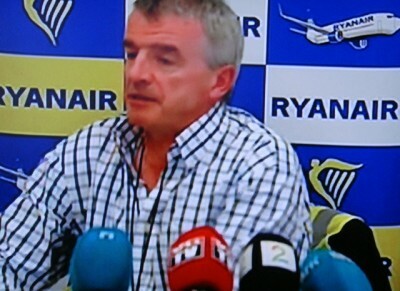 Ryanair boss Michael O’Leary vigorously defended the contracts live on national TV after their terms had been criticized in Parliament. He claims the criticism is aimed at diverting attention from job and pay cuts at rival Scandinavian Airlines (SAS). It was the terms of the contracts themselves, though, that were raising the most eyebrows and shocking politicians, some of whom confronted Labour Prime Minister Jens Stoltenberg on the floor of Parliament Wednesday and wondered why his government hadn’t cracked down on Ryanair earlier. The contracts are supposed to be kept confidential, but two dismissed flight attendants have turned theirs over to labour organization Parat and the media. *** While the employer can terminate the three-year contracts at any point, and with anywhere from zero to 14 days notice, the employee was subject to a charge of EUR 200 as an “administrative fee” if she resigned prior to 15 months. *** The employee not only had to pay for her own training but also for her uniforms (EUR 30 was deducted from her paychecks each month for a year) and their ID cards. Any items consumed on board the aircraft was also deducted from her pay. If the amount of deductions exceeded her paycheck, the difference was due within 14 days and subject to interest costs and fees if overdue. *** Hourly pay in one of the flight attendant’s contracts was set at NOK 122 (USD 21) per hour of flight time, with no extra pay for weekend or holiday work. Annual pay was estimated at NOK 115,000 (USD 20,000). *** Participation in any strikes or demonstrations related to a labour conflict were grounds for immediate dismissal. *** No sick leave was paid and any absence from scheduled work, regardless of reason, led to deduction from her paychecks. Twenty days of annual holiday had to be planned well in advance and could be cancelled at any time if Ryanair needed the employee to work. She could also be ordered to take a minimum of four weeks of unpaid leave every year to meet the company’s need to reduce staffing during low travel seasons. *** The employee was also subject to a certain number of “stand-by” shifts and had to be able to report to work within an hour if called in. No compensation was paid for the stand-by waiting periods. *** The Rygge airport at Moss, south of Oslo, was listed as the employee’s base, but she was warned that she could be moved at any time, and would need to pay the costs of her move. *** All terms of the contracts were to be kept confidential. The employee was warned that violation of the confidentiality tied to the contracts would be seen as grave dereliction of duty and grounds for dismissal with possible legal action as well. 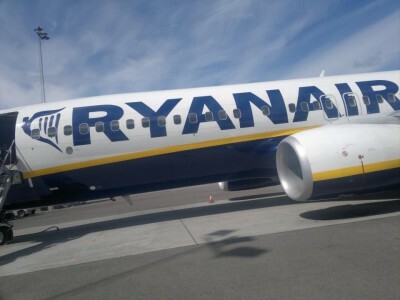 The flight attendants suing Ryanair decided to disclose their contracts, though, and they were receiving broad coverage in Norway. Ryanair boss Michael O’Leary firmly denied the contracts were akin to “slave contracts,” telling NTB that no one is forced to work for Ryanair. He noted that 8,500 people were working for Ryanair of their own free will, with 5,000 more on waiting lists for jobs. Union officials described O’Leary’s response to the criticism as “familiar tactics” to steer attention away from the matter at hand. The nature of the jobs at Ryanair remains the critical issue. The authorities and government ministers now vowing a review a Ryanair’s operations in Norway were due to meet on Friday.